Families have easy online access to their Statement of Account! Statement Balance Online. When families login, their statement balance is in the upper right corner of the screen. 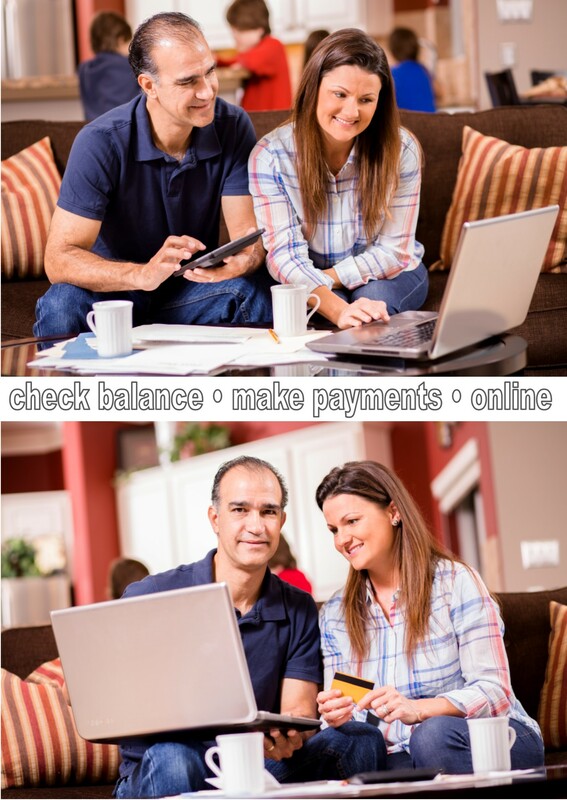 A simple click on the balance takes them to their accounting page with a list of invoices, payments, adjustments and any outstanding balances. Pay online. A "Pay Now" button allows families to make an immediate online payment from their home or while on the go. It's that easy! Emailed Invoices. When a family receives an invoice via email, it comes complete with a "Pay Now" button that takes them to their Statement of Account. In less than a minute, payment can be made. Records are kept online (printing is optional) and are simultaneously viewable by both the family and the admins. It has never been so easy!